This route will start and finish in Euphemia on the beautiful Kefalonia Island. 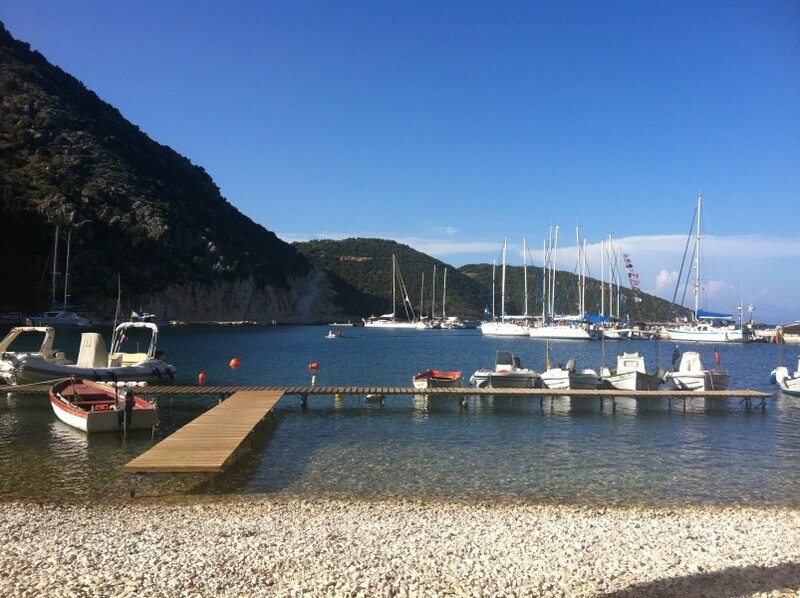 Sail from village to village or island to island, stopping for a lazy lunch and swim in beautiful bays along the way. There is a fascinating selection of local tavernas and restaurants on all the islands which you will have plenty of time to explore. The sailing route mostly consists of easy days of around 10-15 miles. The steep spectacular landscape provides both shelter and lively katabatic breezes in the afternoon. 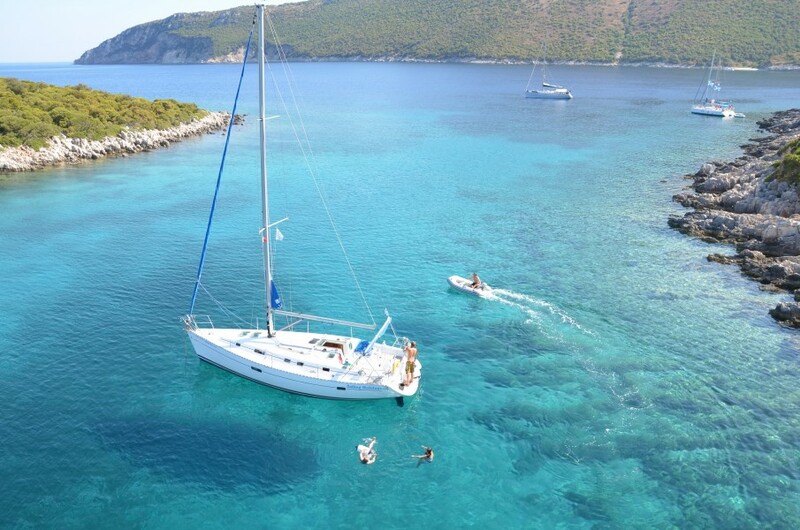 The south Ionian islands are the place if you are after a sailing holiday with the emphasis on 'holiday'! This popular route will start and finish in Euphemia on the beautiful Kefalonia Island. On arrival you will be met by your our crew and shown to you boat. Your lead crew will be around shortly to introduce themselves and give you a short boat brief, before you retire to the taverna for a drink and a bite to eat. Ithaka is the legendary home of Odysseus. 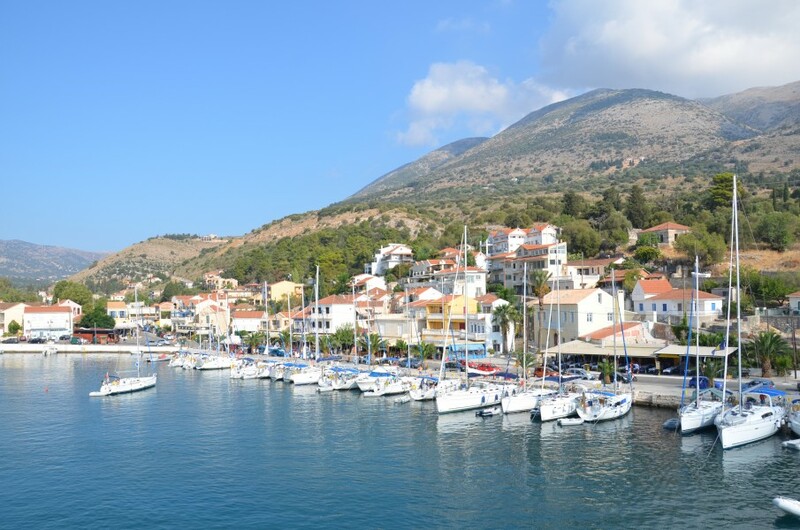 Kioni and Frikes, on the east coast of Ithaka Island are quaint villages in which you can relax. Port Vathi is the largest town on the island and has also become a popular spot to visit. Pere Pigadhi on the south east corner of the Island is an unbeatable swim stop with crystal clear water - the perfect lunch stop. 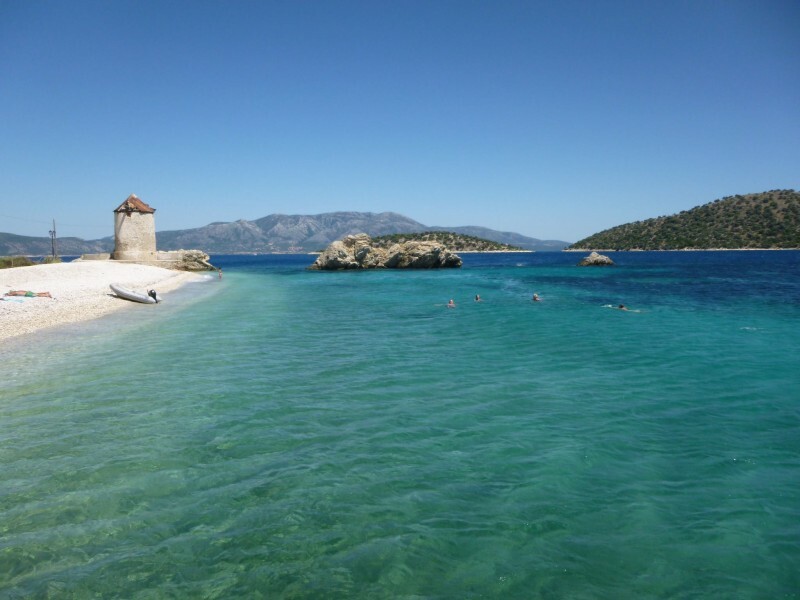 Two of our favourite stops are the island villages of Kastos and Kalamos. Both of these traditional Greek islands have idyllic harbours, where the locals warmly welcome visitors. They are fascinating places to visit, having remained relatively isolated until quite recently. The view out towards Kalamos and Atoko Islands is spectacular. Prising the flotilla back out of village harbours once they have settled in can be a difficult task for our lead crews, but there is always another beautiful place not too far away! This cruise allows the possibility of drifting around the islands in short hops with a loose agenda. The narrow streets, town square and many small shops of in Lefkas Town are a pleasure to wander around. In the middle of town is a classic Greek taverna called ‘The Lighthouse’ where Steve will recite the menu and Georgia will grill everything perfectly for you. 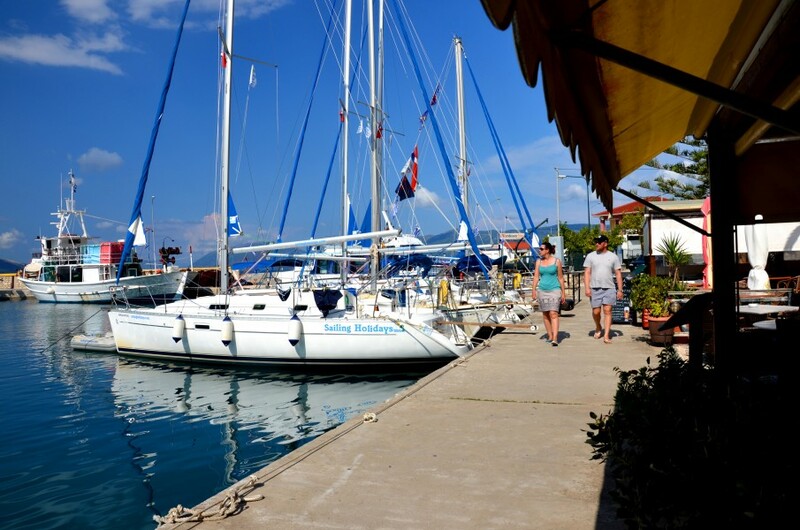 Lefkas has a popular town quay or, if you prefer to avoid anchoring and are happy to pay, Lefkas marina is a short walk from the centre of town. 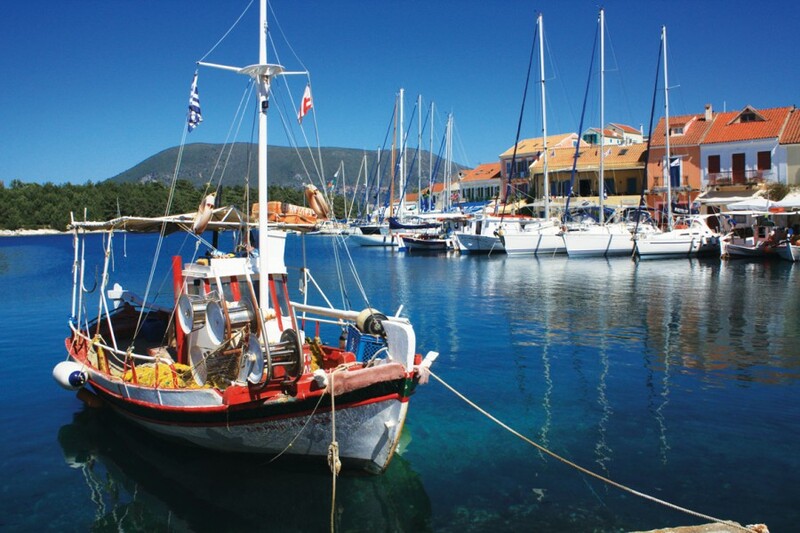 Our southern base for many of our flotillas, the picturesque fishing port of Sivota, is an incredibly popular flotilla stop. 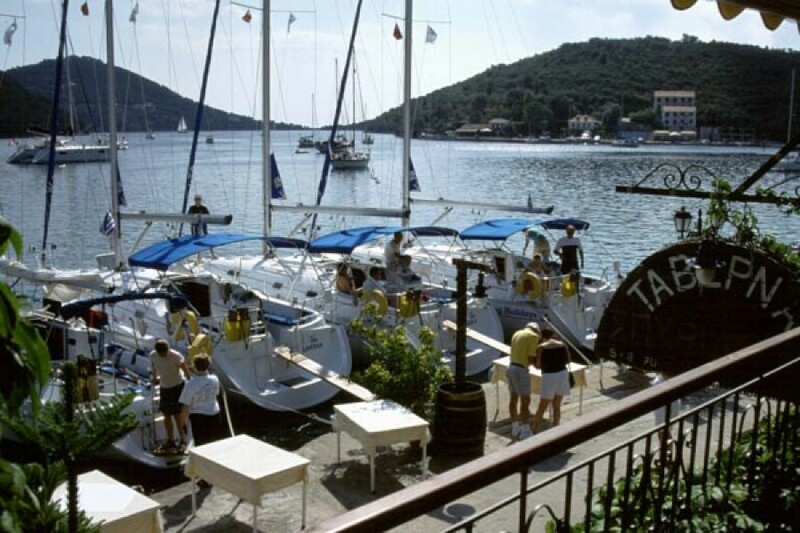 Choose from one of many quayside tavernas, just a few feet from the water, that have been around for as long as we can remember! A brilliant option for your last taste of 'the real Greece' before returning to base. 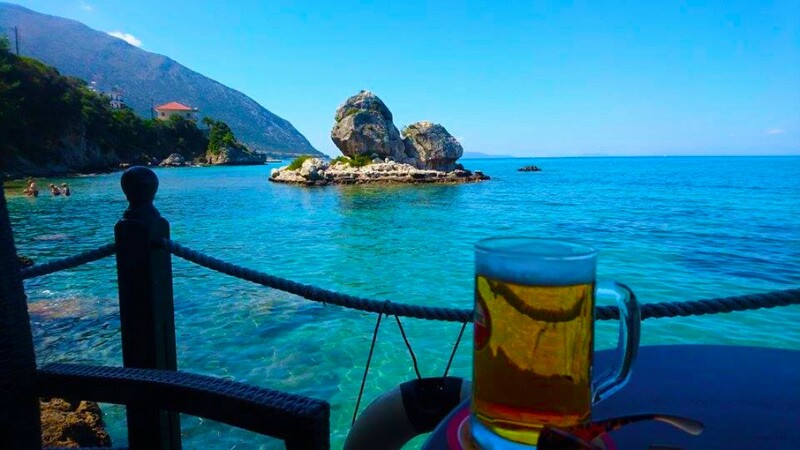 You will visit all our favourite spots, such as beautiful Fiskardo, where you can enjoy cold beer, wine and a range of foods in the quayside tavernas. Somehow the anchor seems to dig itself in a bit deeper when moored here. The flotillas occasionally visit the town of Sami which was central to the filming of ‘Captain Corelli’s Mandolin’ on the beautiful East coast of Kefalonia. 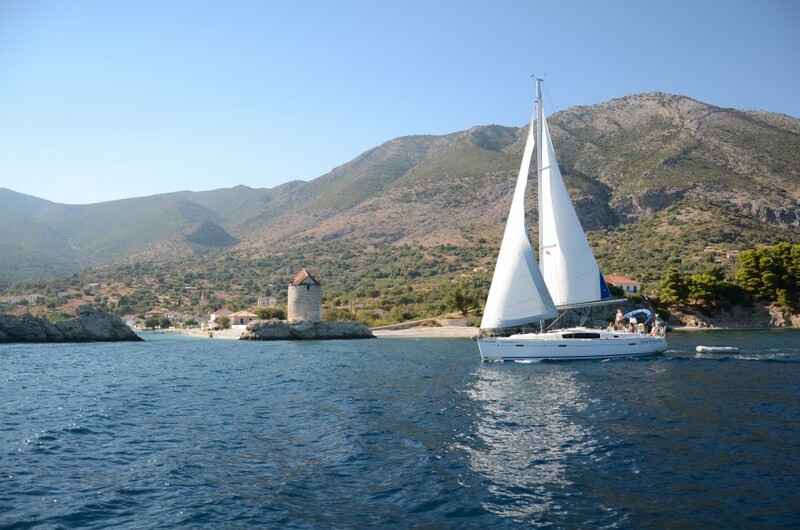 Get ready for some unbeatable sailing across the Ithaka Channel! 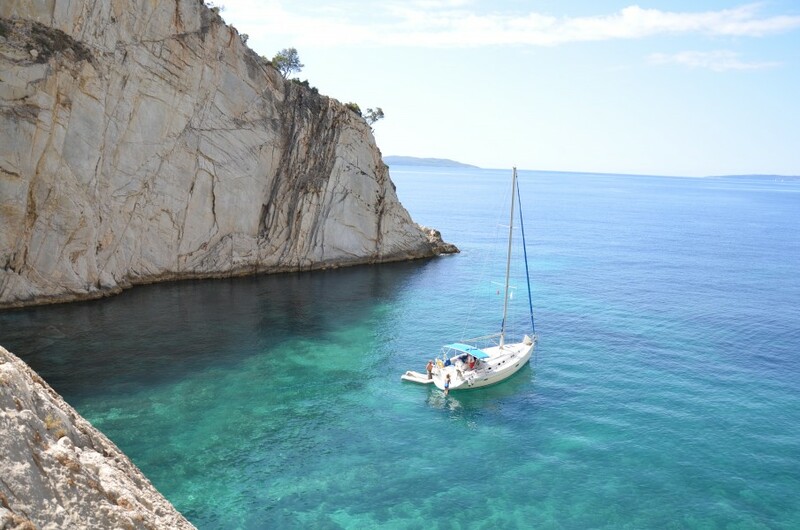 Your flotilla will conclude where it all began, in beautiful Euphemia! Now it's time to enjoy one last meal with your fellow sailors before heading back to reality.